AJ: Mommy, my ears are for hearing. Me: That’s right. What are your eyes for? AJ: My eyes are for looking. Me: Yep. What about your nose? AJ: My nose is for making boogies. AJ: Mommy, where is that egg piece? AJ: That purple egg piece. Me: You mean that lone half of plastic egg that’s been haunting me since Easter? AJ: Yes! I need it! Welcome to the world, Wesley Frank Lueddeke! Following closely in your big brother’s footsteps, you decided to make your big debut 3 weeks ahead of schedule. 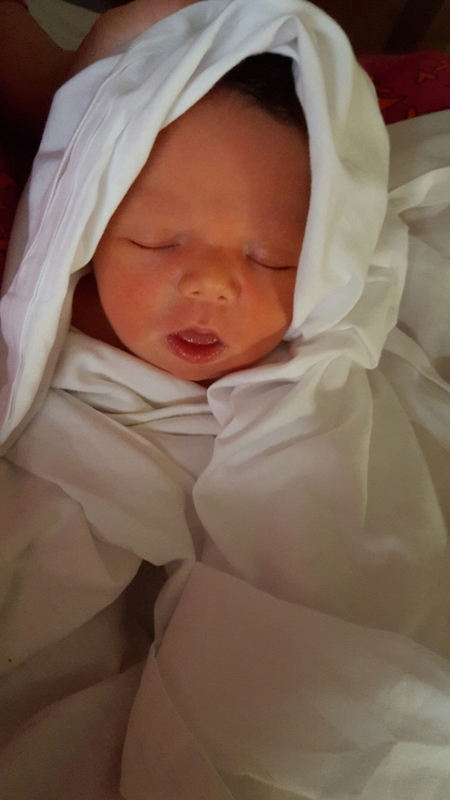 Born March 3rd, 2016 and weighing in at 7 lbs 4 oz and 20” long. Over the last week, we have been enjoying getting to know you and spending quality time as a family as we settle into our new normal. 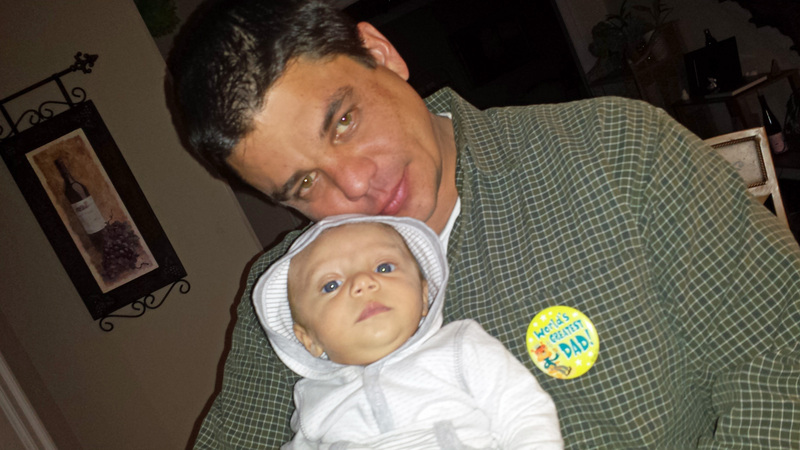 Your Dad and I love holding you and singing to you. AJ doesn’t know what to think of you… although I think he is starting to figure out we are going to keep you. Sweet Wesley, may you experience everything this life has to offer. Never stop learning. Never stop loving. Never stop moving forward. I will be here for you always. Thank you for choosing us to be your family. When we looked into our child’s eyes for the first time, we were in love. And ever since we brought our little Bundle home from the hospital, my husband has been in love with his little feet. 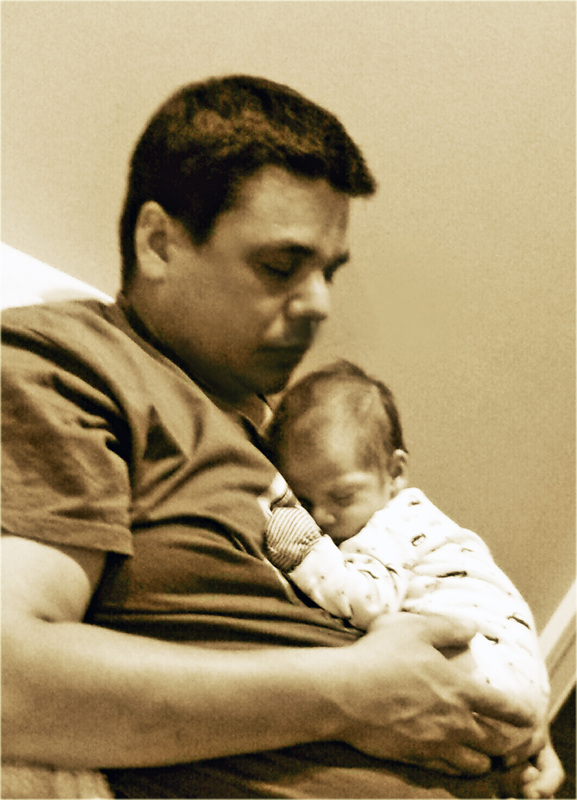 I often watch them cuddle… Dad holding baby snugly against his chest, soft bare little feet in his hands. Today is Tony’s 35th Birthday. 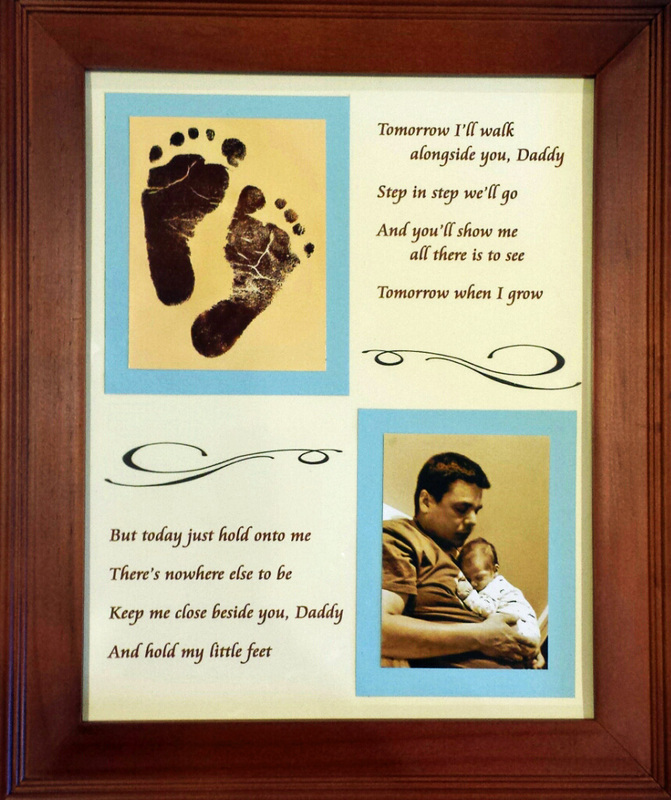 And being that this is his first birthday as a father, I wanted to make him something special that would pay tribute to this precious time in his life, and memorialize these moments that he holds so dear with his baby son. This poem, written by yours truly, and these small prints are what I came up with. So for the first time, Sweetheart, here is a gift to you from “your family.” Happy Birthday. Like most brides, I wanted the theme of my wedding to capture my personality and express my style. I accomplished this through a pallet of lavenders and purples, mismatched paper patterns, sheer fabrics, whimsical accents, and a touch of shabby-chic. These projects stylized full-spectrum the inner-most characteristics of my personal brand. Unfortunately, I wasn’t blogging at the time I was planning my wedding, so I didn’t capture a lot of my wedding-related projects, however I want to compile what I can here, if only for my own personal journaling purposes. That said, as my fellow craft-crazy counterparts know, there are always TONS of post-wedding projects to be done, so I will be contributing those to this forum as I get around to them as well.